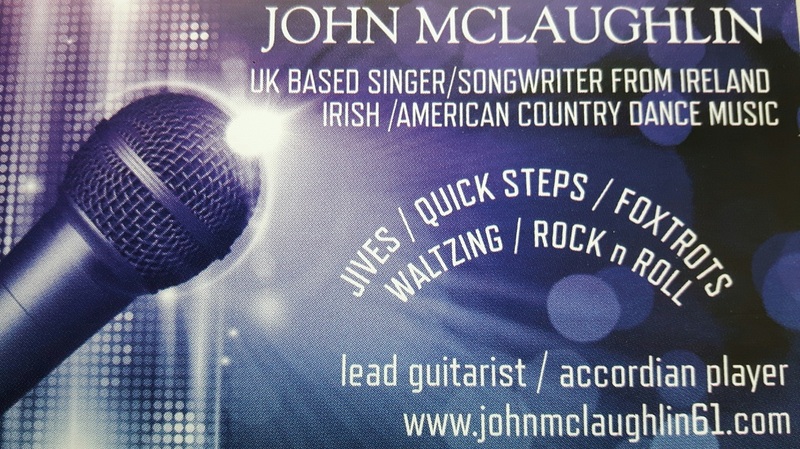 John McLaughlin is now based in North-West England. Originally from Co Antrim in Northern Ireland, he has an extensive live-band history across Ireland, UK and Europe as a lead guitarist in country music bands. His solo live show aims to get people dancing. The songs are a wide range of musical styles including Irish/American country, Irish ballads, middle of the road styles such as Amy Winehouse, Van Morrison and TRex. John's extensive skills as a musician are on show too with guitar solos such as Shadows classics and Irish/Scottish accordion tunes. His musical influences are the country greats including Buck Owens, Merle Haggard, George Strait and Alan Jackson. In recent years John has discovered his composing skills. His first self-penned song, Your Lovin' Eyes, was recorded by Ireland's Voice of Country, Eamon McCann, on the album Sing Me Back Home. John's first album, The Fugitive, showcases a total of 7 self-penned songs as well as covers of some of the songs he loves to perform in his solo live show. The self-penned songs are available for artists to record on request. Go to the SongWriting page to hear samples.